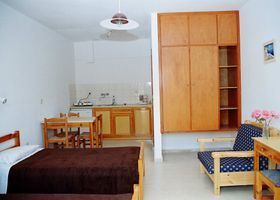 Our apartments and rooms come in different sizes. Rates for each accommodation solution range from 45 to 70 Euros, depending on the period, the suitable (to your preferences) room, and the count of persons for each. Please Contact Us, to find the most suitable solution or enquire for any seasonal offers that might apply in the period you are interested.